MilitaryByOwner Home of the Week in Colorado Springs! Colorado is a dream destination for so many military members! Beautiful skies, picture-worthy landscapes, and plenty of outdoor activities await newcomers. If house hunting (buyers or renters) in the Colorado Springs area, look no further because MilitaryByOwner has the perfect property for you. The latest MilitaryByOwner Home of the Week doesn’t disappoint anyone hoping to get precious orders to Colorado. The house is ideally located to the U.S. Air Force Academy and filled to capacity with custom features and amenities, with mountain views to swoon over. Although it’d be a bit further drive, folks stationed at Fort Carson or Peterson AFB should also give this house thorough consideration. 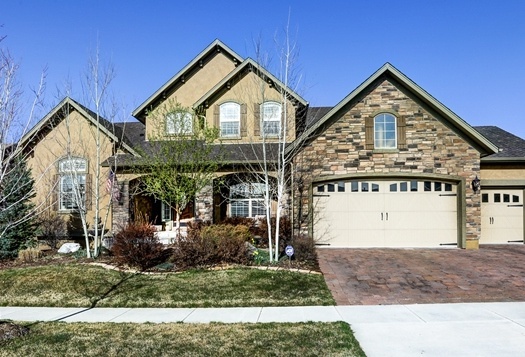 Note: While this home is no longer listed for sale, peruse similar properties on MilitaryByOwner's extensive listing of homes for sale or rent near Colorado Springs. After admiring the exterior stone work and three car garage, head inside to check out the vaulted ceilings throughout the main living spaces. 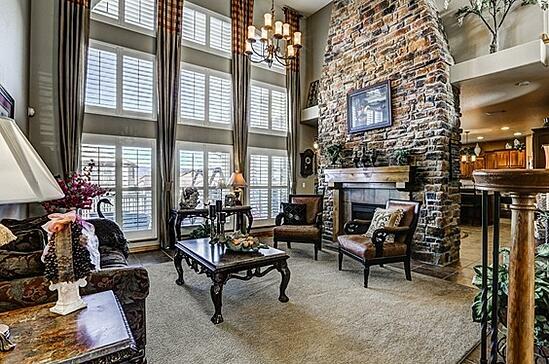 They give the interior a ski lodge feel without the nuisances of mountainside living. The immense and stately fireplace is just one of three on the main level. You’ll find a fourth in a second master bedroom that turns into a perfect guest suite with a 5 piece bathroom collection that features a claw foot tub. 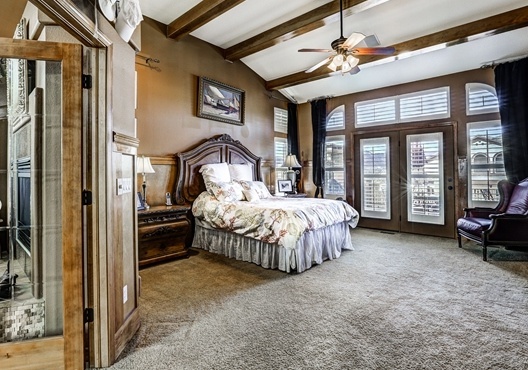 A master bedroom awaits with a secret getaway for its occupants: a private door with a deck to luxuriate in the mountain vistas each morning. 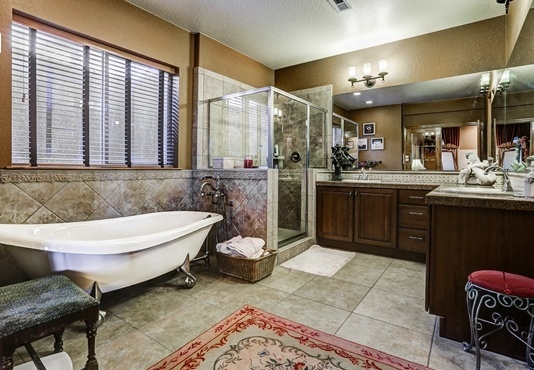 The master bath has all the extras, including a jetted tub, upgraded fixtures, and hot water circulator. 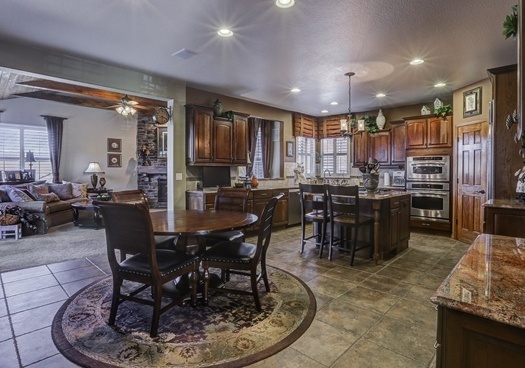 The gourmet kitchen has more than adequate eating space plus access to the formal dining room. Cherry cabinets, stainless appliances, an island, and an abundance of storage check the lists of most home shoppers. Cul-de-sac living has it perks--think neighborhood block parties and Halloween bashes! The enviable weather will have the entire family spending time in the front yard playing and riding bikes in the traffic restricted space. If not frolicking in the front, the back upper deck and lower patio are perfect for lounging and entertaining. 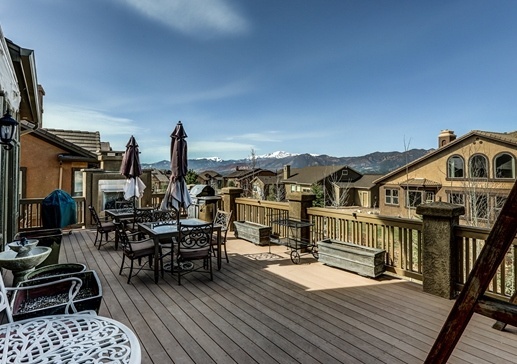 If Colorado Springs isn’t your next destination, stay tuned to MilitaryByOwner because each week we showcase other properties throughout the country. 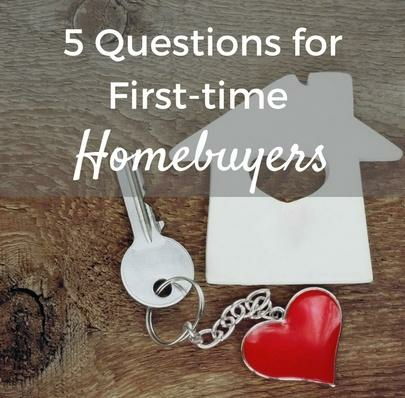 Maybe you'll find your next home!